So sadly this is our part III of our bright coloured trousers mini series and I hope you have enjoyed it and seen something you liked. Everything I’m wearing is in the shop. I love this look and I think it’s such a great spring/summer outfit. The trousers are amazing, they let you add a bit of colour into your wardrobe without it being too much. It is perfect if you want to add a little colour into your wardrobe. 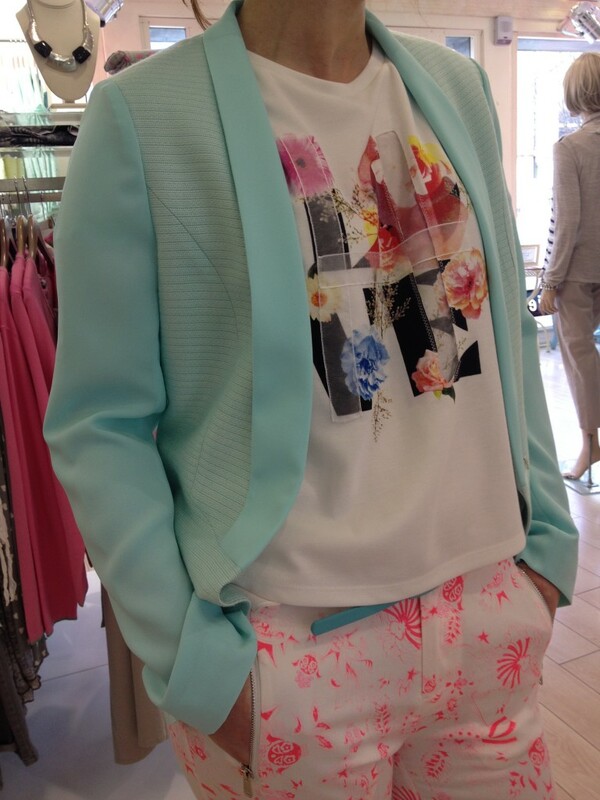 As mint is one of the key colours this season I, of course, fell in love with this Lily mint blazer. The sleeves are chiffon so it will be perfect when the days get warmer. I paired it with this cute top that is also from Lily and the beauty of this outfit is if you wanted to wear flats, you can. Let me know what you think of this look? Hope you like it as much as I do. Don’t forget to check out our online store, we have more up this week! Wow girls am loving these blogs. All the outfits are young and trendy and inspiring for the summer! What a fab range of clothes! Keep them coming.